Whether you’re a weekend adventurer or working the red carpet, Adobe Lightroom is a critical tool in every photographer’s kit. Designed with creatives like you in mind, Adobe Portfolio makes showcasing your work effortless. And it just got even better. Now with the Lightroom integration on Adobe Portfolio, you can easily import your Albums and publish your best shots on your customized website in just a few clicks. When you head over to Manage Content on Adobe Portfolio, you’ll notice that the section has been broken into two tabs: Website Pages and Integrations. Website Pages show all of the Galleries and Pages currently created on your Portfolio. 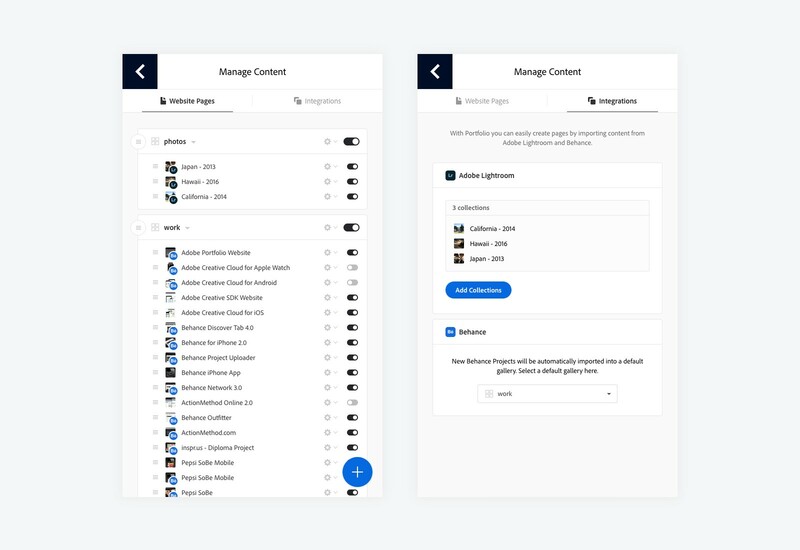 Integrations allow you to connect to your Adobe Lightroom Albums and set the gallery where future Behance projects will appear. 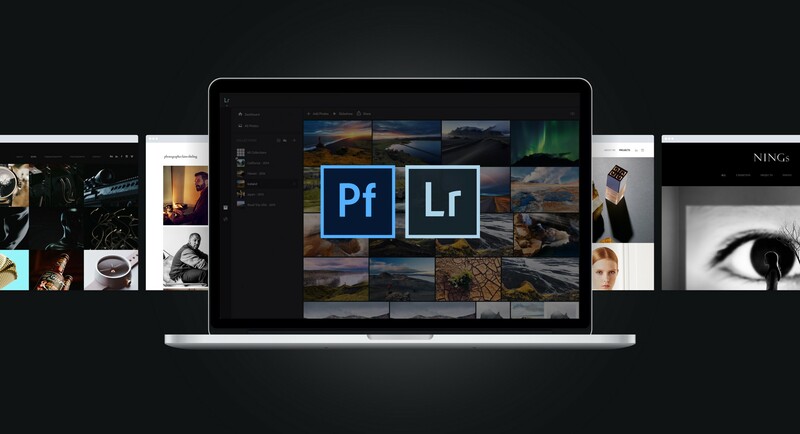 Portfolio’s new Integration allows you to select any of the Lightroom Albums you’ve created and import the images to a Page on Adobe Portfolio. The entire Album will be transformed into a Photo Grid within a new Page. 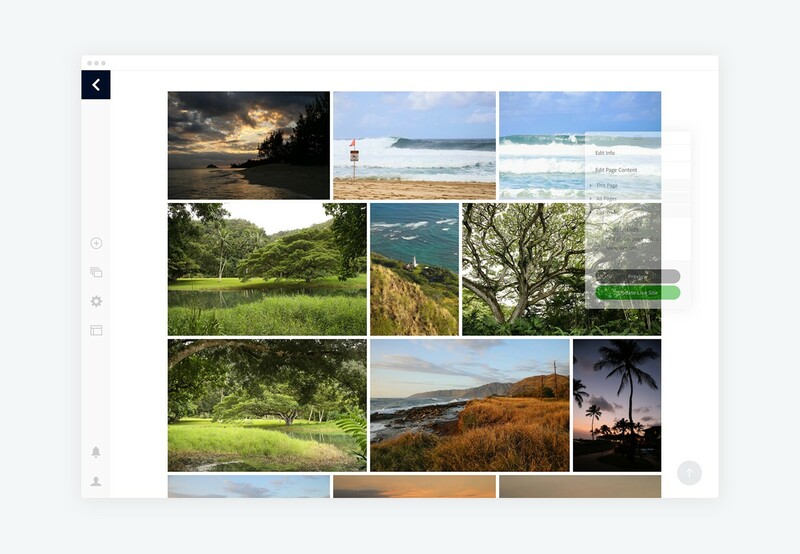 You can edit the new Photo Grid to reorder or delete an image. As with every Page, you can add additional text, images, videos, or embedded content. Portfolio continues to make building your own customized creative website easier by leveraging one of the creative world’s most popular applications. Learn more about our powerful photography-friendly features over at myportfolio.com/photography.